Our master bedroom is a lovely sized room with a nice big window and some alcoves around a chimney breast. When we moved in, we decided that we would paint it immediately to get rid of the horrible dull grey & red that the previous owners had painted it. 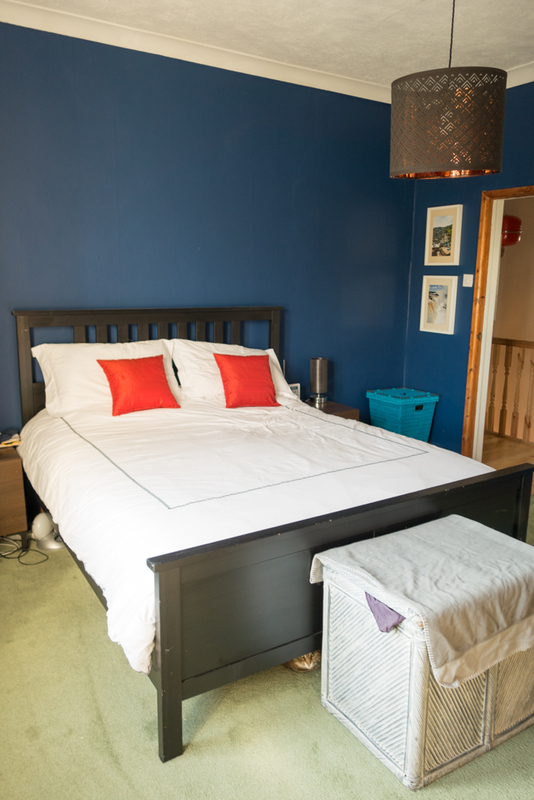 We did a pretty average job on it but it made the room a lot more comfortable and nicer to live with before we had the time and money to do the room properly. 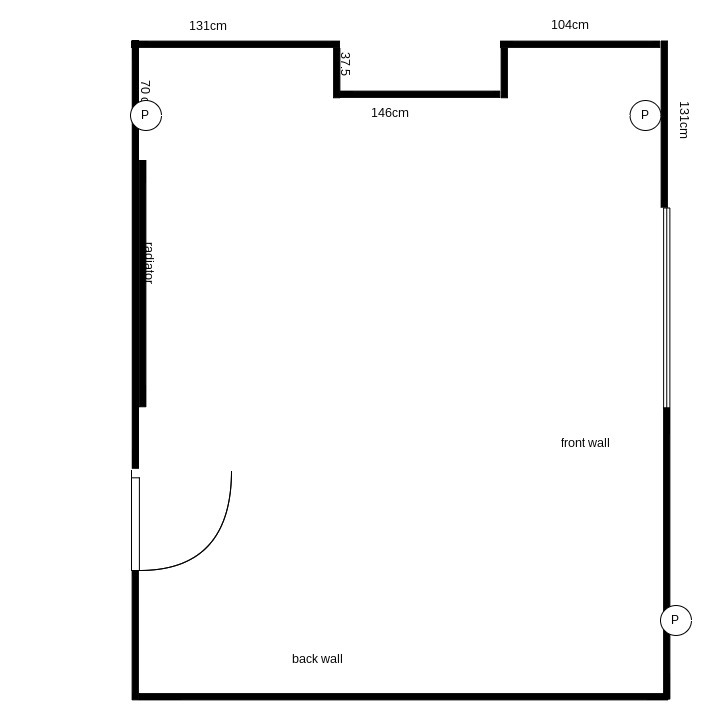 As you can see from the floor plan above, it’s a very standard layout for a Victorian terraced house master bedroom but isn’t really the easiest shape to design if you want to have both a good set of wardrobes, a bed and a dressing table in there. Plus I have a longing for a bedroom chair. We have decided to put the wardrobes in the area marked ‘back wall’ and have the bed against the chimney breast. Unfortunately, the bed is wider than the chimney breast so we will need to do some work to make that look a bit better. I’m considering a large headboard or something like that or potentially closing off one of the alcoves for the bed. We are also experimenting with putting the bed under the window. 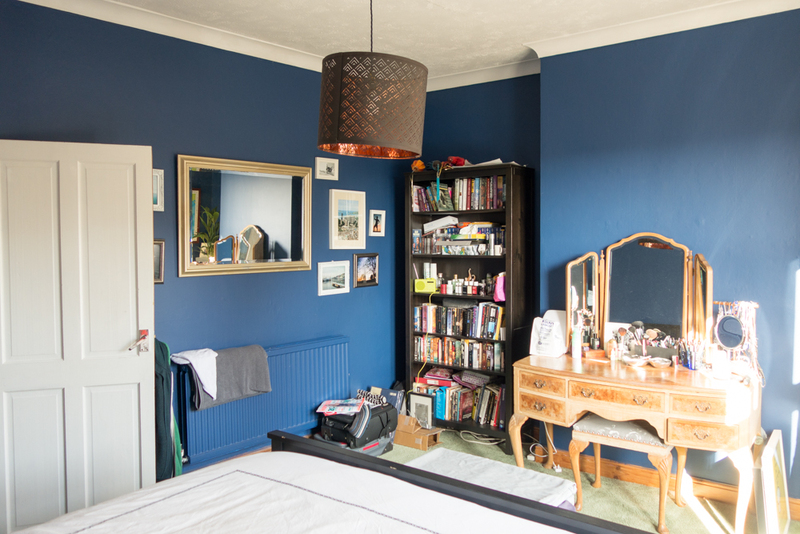 We painted the bedroom a sapphire blue as it’s a favourite colour but really, it’s quite a difficult colour for a room and requires lots of nicer things to liven it up and it’s also quite bright and jarring to live with. I think some softer, more muted colours would make the bedroom a more peaceful place. 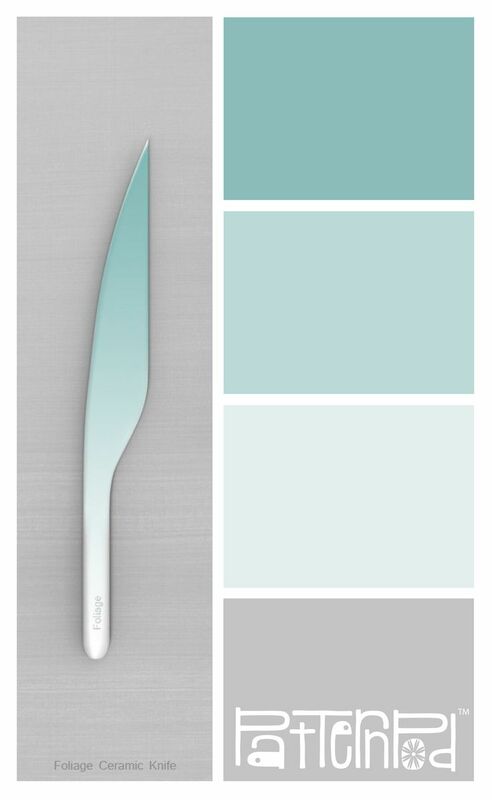 These are the colours I’m considering, adding in a dark grey carpet and some nice wooden furniture. This is what the bedroom looks like at the moment. Spot the hidden cat! And the utterly grim carpet that still occasionally smells like dog. The alcoves are different widths as nothing in this house is even or even, properly 90degree angles. get rid of the minging carpet. What a mission! I’m considering getting a decorator in to do as much as possible so that it’s over and done with quickly but if we do it, then I expect a good weeks worth of work. What do you all think? Is a decorator worth the money?